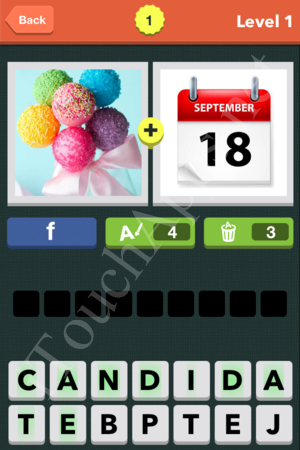 Pic Combo is a game that was developed by Games For Friends GmbH, the maker of Icomania and 4 Pics 1 Word, for the iphone, ipod touch and ipad. Here are the answers to all levels of Pic Combo. ***IMPORTANT:*** Levels are in random order each time the game is installed, so the levels you’re seeing on your device may not correspond to the answers/pics below. 2)Alternatively, look through the word answers listed below, and when you see one that you think may be the answer, click the link to see whether it’s the pic you’re looking for.